For more information on the eduroam wireless network, see Wireless at LSU. 1. Select System Preferences from the dock. 3. 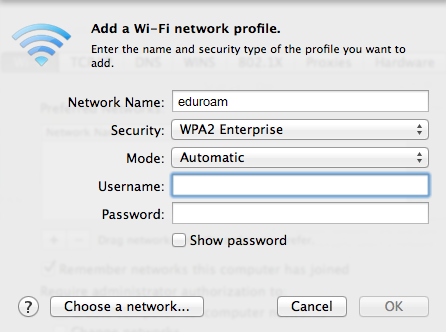 Select the drop-down menu, and click eduroam. Then, click Apply. 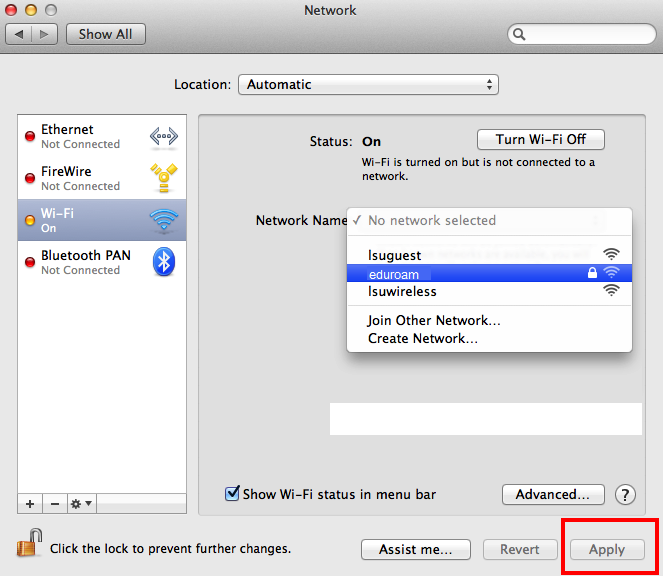 NOTE: If eduroam does not initially show up in the drop-down menu, click Join Other Network... and select eduroam from the list, then continue to step 4. 5. You should now be connected to eduroam wireless network.